The new MacBook Pro with its fancy touch bar has been released by Apple. Being a developer, we always look to toy with the newest technology. In this tutorial, I will be building an app that uses the NSTouchBar API. To check which version are you on, do this:  > About This Mac. To see the Build, click on the version number Version OS 10.12.1. The following tutorial is developed on macOS Sierra 10.12.2 (16C67) and Xcode Version 8.2. 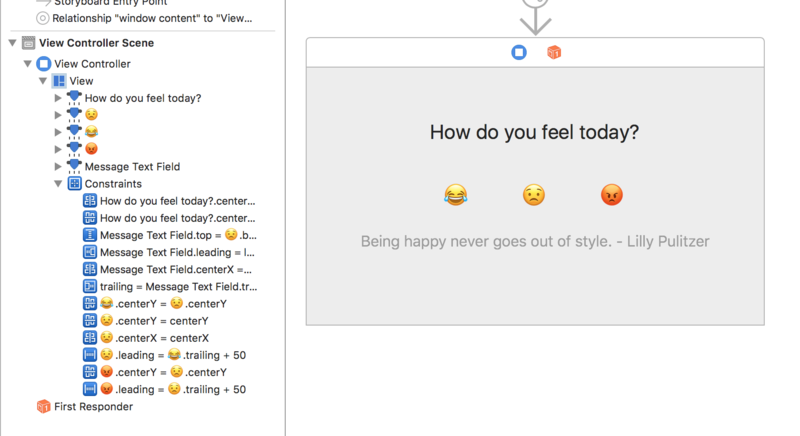 We will be building a simple application that ask: "How do you feel today?" User will be able to express their feeling by touching a emoji button on the touch bar. A short text will be shown in order to response to their feeling. From Xcode, select File > New > Project. 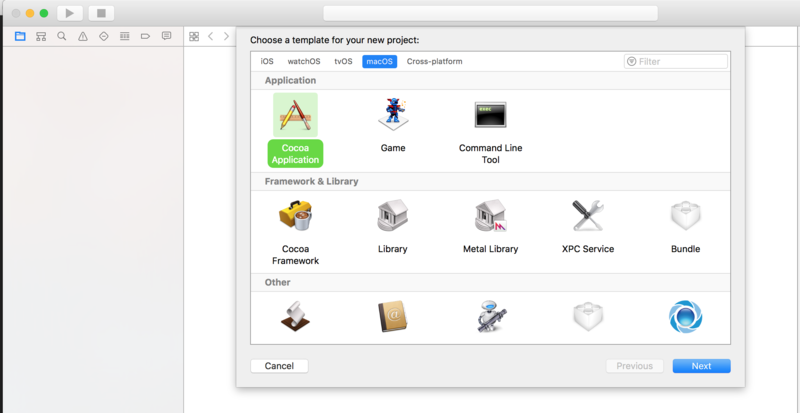 Click on macOS tab and select Cocoa Application. Then enter all the required detail. Before we start, we should tell Xcode that we would like to show the Touch Bar. Go to Window > Show Touch Bar. Upon clicking Show Touch Bar, a Touch Bar should now appear on the screen. By default, this value is set to false. In order to customise the Touch Bar we need to enable it. The line if #available(OSX 10.12.2, *) is a check as we are using the Touch Bar that does not exist in previous OSX version. Xcode will throw an error whenever we use something that is not available in previous version. We will then create a HYFTWindowController a subclass of NSWindowController. Go to the Main storyboard and update the Window Controller class in inspector with our newly created HYFTWindowController. With HYFTWindowController being our firstResponder, the makeTouchBar() would get called first. Here, we would pass the job to our ViewController to create the Touch Bar. Here, we create a new NSTouchBar and set ourself as its delegate. The touchBar.customizationIdentifier required a unique string to identify each touchBar. The touchBar.defaultItemsIdentifiers expect an array of unique string identifiers to help us setup the item later. Note that we also pass in the .flexibleSpacing and .otherItemsProxy. These are a set of NSTouchBarItemIdentifer provided by AppKit. These help us set flexible space between item and allow other touch bar with visible item to be nested inside. A list of other default items can be found here. Finally, we are all ready to create items on the touch bar. Is actually pretty straightforward to create items using the touchBar(_ touchBar: NSTouchBar, makeItemForIdentifier identifier: method. The identifier would help us identify which item are we going to be creating. We use a switch here to setup each item differently. The order this get trigger will be the same as the order of item in the array passed into touchBar.defaultItemIdentifiers. The NSCustomTouchBarItem have a view that we should use for setting up custom item. For .infoLabelItem, we just create a NSTextField and update it. For the rest, we create a NSButtom with different title all of each will trigger a action buttonPressed(_:). In order to prevent errors, we will create a empty buttonPressed(_:) in the ViewController and run the app for now. You should see this in your Touch Bar. One NSTextField on the top and another hidden NSTextField near the bottom. Then add three NSButton in the middle with the "😟", "😟", "😡" as the respective title. Create a @IBOulet messageTextField and hook it up to the bottom NSTextField.Then hook up all three NSButton action to the buttonPressed(_:) method in ViewController. Next, copy and paste the following into ViewController. return "Being happy never goes out of style. - Lilly Pulitzer"
return "Sadness flies away on the wings of time. - Jean de La Fontaine"
return "To be angry is to revenge the faults of others on ourselves. - Alexander Pope"
return "Look like our quote does not cater to this reaction"
The above are just code to update the messageTextField with quote base on the action by the user. Now, run the app again and play with the Touch Bar. Clicking any emoji item on the Touch Bar or the button on the window will both trigger the text to change. Now we have our very own Touch Bar app 😂. The completed project can be access via GitHub here.